Camping is considered by many to be one of the most cherished pastimes a family can enjoy together. It’s also a liberating experience for those who are more independent and prefer to camp alone. Either way, camping is an exciting and adventurous way to unplug and explore the world away from our regular lives, and it is great fun people of all ages. The memories you make at camp will last a lifetime. But camping isn’t only enjoyed by humans. Dogs are loyal companions who usually love a taste of adventure every now and again. Your dog will likely enjoy spending time in the outdoors even more than you do. However, as we all know, sometimes pets like to get into trouble. So how do you safely and wisely go about bringing your dog on a camping trip? There are always many important factors to consider when planning ahead for any big trip, even without bringing your canine companion along. It’s important to prepare yourself for the unexpected and give yourself some peace of mind. 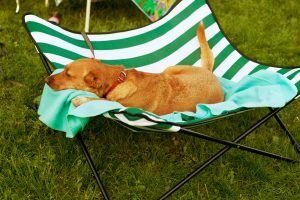 It’s hard to enjoy a relaxing camping excursion if you are worried about your dog the whole time. So let’s lessen your concerns and talk about what you need to know and do in order to bring your dog on your next camping trip. Prior to embarking on a camping trip with your dog, you should make sure that the area you are camping at allows dogs. Call ahead to a campground or go online to website of the campground or park that you are camping at. If you are camping outside of a designated campground be sure that the location allows camping to begin. Nothing ruins a fun weekend like getting in trouble for breaking the rules. The health and safety of your pet is a necessity. Check in with your vet to make sure that your dog is up to date with shots – especially the rabies vaccination. Ask about proper protection from ticks and how to protect your dog from the risk of Lyme disease. A tick collar or other preventative precautions might be wise for your trip, especially if you are camping in heavily wooded areas. Heartworms can also be a concern and they have been transmitted in all 50 US states. Your dog must wear a collar or harness with identification and a number to call in case they get lost. 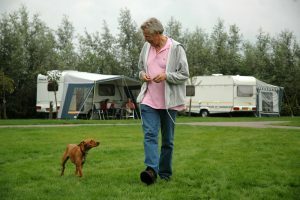 Popular camping guide website CampTrip.com emphasizes the importance of making your dog comfortable with the concepts of camping prior to actually setting off on your trip. By taking your dog for short and moderate rides in the car you will get them used to riding a vehicle on a regular basis. Dogs that aren’t used to this kind of motion can get sick and a sick dog can make everyone a little miserable. Sleeping outside in a tent can be an unusual experience for dogs as well. Perhaps a campout in the backyard once or twice before your trip can clear any uneasiness your pet might have. Finally, long walks and vigorous exercise are good ideas for your pet if you plan to keep them active during your camping experience. Your dog will be less likely to tire out if they have had plenty of healthy, active days in the past. Before going on any vacation or weekend outing it is wise to make a checklist. Camping with your pet demands a checklist for sure. You’ll want to be certain that you’ve brought all of the necessary items and supplies that your pet might need during the trip. It’s obvious that you will need to bring things like dog food, a leash, and maybe a few toys to keep your pet busy during the trip. However, there are some less apparent items that you’ll need to bring along to ensure that your trip goes smoothly – at least in regards to your pet. Comfort is important for your dog, which may not be used to sleeping outside and away from home. Proper bedding is important to keep your puppy relaxed during the night – but fortunately dogs generally have a pretty easy time getting comfortable in just about any location. A crate however, is very likely a necessity in case you need to keep your dog in a secure location and prevent them from getting into trouble. A surprisingly common necessity for camping with a dog is drinking water. Many campers expect that campgrounds will provide something as basic as water for animals to drink, but that is not always the case. You should bring both food and drink dishes with safe drinking water and enough food to last the whole trip. You do not want to rely on pond or stream water as it may be unsafe for your pet to drink. You might also find it wise to bring a sealable container to keep your pet’s treats and food locked away from outside animals. Those doggie treats are for your beloved companion; not an invading raccoon. 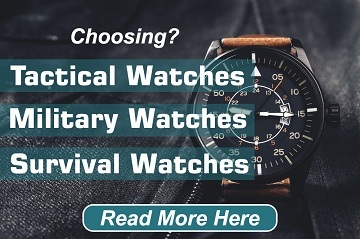 For a more complete checklist of items you may need to bring in order to be properly prepared, pay a visit to this website. Once you are ready to go, you’ve been over your checklist a few times and all of your preparations are complete, it’s time to get to the fun part, although while at camp there are still a few things to consider. Keep your dog on a leash or confined in a safe place to keep them from disturbing other campers. One bad camping experience with your pet can deter you from ever wanting to risk camping with them again; and that’s not fun for either of you. Properly training your dog with commands like “sit”, “stay”, and other important actions can keep them and others safe. A well trained dog usually leads to a well behaved dog. You should always properly supervise your dog. If you ever have to leave your site or be separated from your dog, you should keep them in a crate. Tying your dog up outside without you present can be a risk as passerby campers can be upset by the dog or the other way around. By keeping your pet restrained in a comfortably sized crate, you can likely prevent them from becoming a hazard on the campgrounds. Similar to prepping them for car rides, getting your dog used to sitting in a crate for a limited amount of time can allow them to be more relaxed if you have to leave them alone at camp. Do your best to keep your pet relatively clean. It’s a given that your dog is going to get a bit dirty while out in the wilderness with you, but you do not want him tracking mud, or worse substances, into your tent or camper. Some extra water, wipes, and a brush can keep your pet fairly sanitary and it’s wise to use these items before letting them into your sleeping quarters. You should also keep an eye out for ticks. Even with a tick and flea collar on, your dog can still track ticks into your camp and may have them on his or her fur. If your dog does have a tick bite then you should be capable of removing it. It’s important to know how to remove a tick from your pet, and in general, to avoid any worries of Lyme disease. Nature still calls even when you already have your pet out in the wilderness. Keep your dog from going to bathroom, so to speak, in walking paths, campsites and other commonly used locations. A good way to annoy fellow campers is to leave them doggie ‘surprises’ throughout the campground. Be courteous and treat your camping neighbors with the same respect that you expect from them. You brought your pet for enjoyment and pleasure, not to have other campers complain about how you shouldn’t have brought your dog. With that in mind, it’s altogether possible that you aren’t the only one who brought a dog. If your pet plays well with others then that is a good thing, but you should be sure that any other pets your dog runs into will react warmly. Always ask other owners if it’s okay for your dogs to meet when you pass them by. A doggie rivalry can make for a really uncomfortable campground atmosphere. You should always keep an eye on your dog and make sure that they are behaving well towards other owners and their pets, or keep them away and avoid conflict. Camping is meant to be relaxing and unwinding. You shouldn’t be worrying 24 hours of the day about how your dog is locked away at home. Yet, if you are going to bring your dog along then you want to be sure that it won’t be a more of a burden to do so. 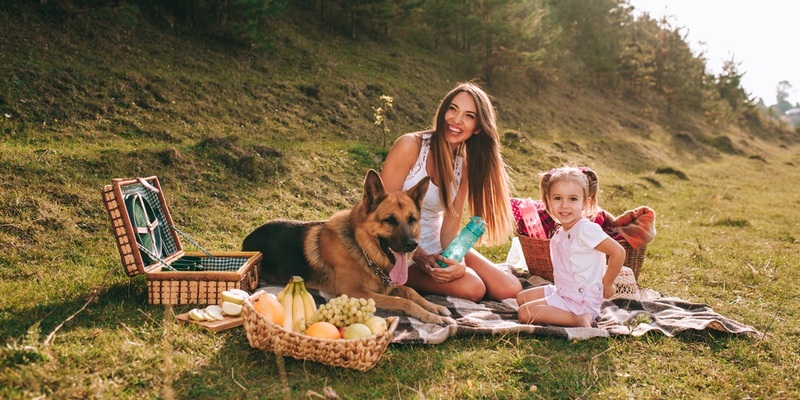 Keep these tips in mind before and during your camping excursions and you should be able to set yourself up with a smooth camping experience and keep your pet happy. If you discover that bringing your dog along just isn’t going to work, then consider doggie daycares or keeping them at home with a relative or dog-sitter. It’s best to know that they are in good hands if they can’t come along to enjoy the experience with you.